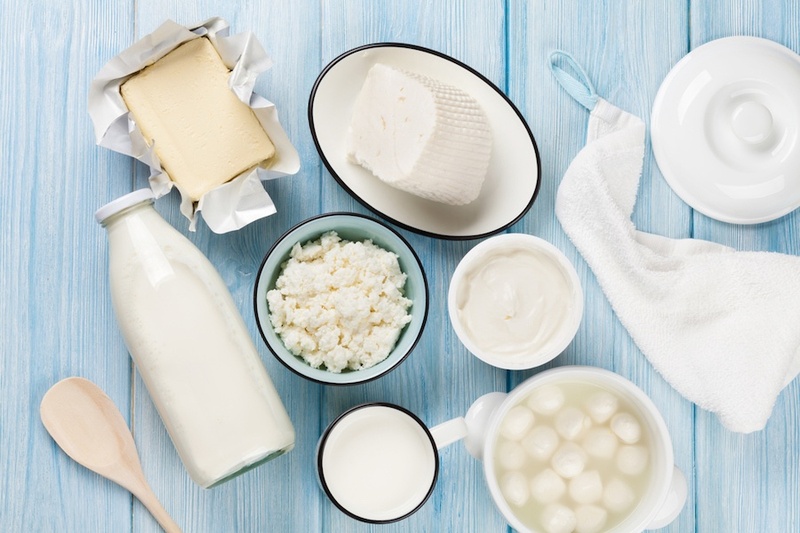 Some food manufacturers may consider including these alternatives in their formulations, but need to weigh the pros and cons of real dairy and the alternatives. Here are four major factors to consider. Despite many claims, non-dairy alternatives typically rank far lower when it comes to nutrition. Increased protein continues to be a major driver in consumer food choices, especially protein-rich beverages, and real dairy offers eight times the protein content of almond milk, for example. Soy comes close, but consuming too much has been shown to be problematic for those with thyroid and infertility issues. The health benefits of real dairy are well documented, and food manufacturers should consider its superior nutrition as it relates to health-conscious consumers and their interest in labeling. As the clean label movement continues to gain momentum, non-dairy alternatives may lose some of their appeal with consumers who are trying to avoid industrially processed foods. A closer look at ingredient labels for non-dairy milks often reveals many additives and stabilizers to improve the product’s texture, flavor and mouthfeel. Products containing real dairy don’t need to rely on artificial ingredients to provide the rich flavors, nutrition and textures consumers crave. These characteristics are inherent qualities of dairy — even in non-milk forms such as whey protein — meaning it can stand on its own and contribute to the clean label efforts of food manufacturers. When made aware of the environmental impact of some nut milks, many consumers reconsider their options. Almond milk, for example, is largely sourced from the West Coast which has experienced major droughts in recent years, yet it’s estimated that it takes more than a gallon of water to produce a single almond. Ethical dairy producers eliminate unnecessary waste during every phase of a product’s lifecycle. Grande Custom Ingredients Group, for example, transforms remaining whey from the cheesemaking process into functional whey protein ingredients that are used as cost-effective and shelf-stable alternatives to high-cost dairy and eggs in multiple applications. Innovations in technology and dairy farm life cycle management continue to be a focus of the U.S. dairy industry which identifies areas of greatest impact and develops management strategies and tools for dairy farmers. To ensure top quality dairy ingredients that are ethically sourced, look for a supplier that has a strict chain of custody. Price seems to be no object to some consumers. Almond milk, for example, costs about twice as much as its real-dairy counterpart, yet sales currently remain strong. On a small scale, families may be able to rationalize the cost difference. For food manufacturers, however, including nut milks and other non-dairy alternatives in their formulations can quickly erode profits. Food manufacturers that use traditional dairy ingredients, such as milk, cream, cheese and butter in their formulations can reduce costs even further by using whey protein ingredients, such as Grande Bravo® functional whey protein. This all-natural dairy ingredient provides all the nutritional benefits, functionality and flavors of traditional dairy without the drawbacks. When choosing dairy ingredients for various applications such as dips, spreads, dressings, frozen desserts, soups and more, consider all-natural Grande Bravo functional whey protein. It can lower costs, contribute to your clean label efforts, support your sustainability initiatives, improve nutrition by lowering fat and calories and, most importantly, delight your consumers. Reach out to one of our experts to discuss the possibilities.